Where can you find the most powerful and prominent Super Teens in the galaxy? Super Hero High of course! Wonder Woman, Supergirl, Batgirl, Harley Quinn, Bumblebee, Poison Ivy and Katana band together to navigate the twists and turns of high school in DC Super Hero Girls: Hero of the Year. Produced by Warner Bros. Animation and DC Entertainment, the film will be distributed by Warner Bros. Home Entertainment (WBHE) on August 9 on Digital HD and August 23, 2016 on DVD (SRP $19.98). · Wonder Woman was raised on Themyscira, a paradise island overflowing with female leaders. This natural born leader has super strength, the power of flight and a magic lasso that forces anyone to tell the truth. · Batgirl is crazy smart – she was accepted to Super Hero High based on her brainpower alone (she wasn’t born with super powers). But this crime-fighting sleuth may be the most influential of all! Her unparalleled intellect, expert martial arts skills, photographic memory and legendary detective skills are a formula for an incredible Super Hero. · Supergirl is the most powerful teen on earth, but also incredibly clumsy. She has super strength, super hearing and super speed but will need to be sure she doesn’t trip over her own two feet en route to saving the world. · Harley Quinn is the resident class clown who lives for jokes and over-the-top pranks. Nonetheless, this quick-witted gymnast is sneaky and full of surprises. · Bumblebee has the ability to shrink, allowing her to sneak around without being spotted. She makes sure her team is never surprised by any villains or enemies up to no good. · Poison Ivy, got caught up in a botched lab experiment, and now has the ability to control and summon plants. She’s gradually adapting to her amazing new powers and blossoming into her new life. · Katana is an artist with an edge – this fearless martial arts fashionista is up for any crime-fighting test and is never without her sword. Girls around the world now have their very own Super Hero world to play, watch, read and be inspired! To further bring this all-new universe to life, DC Super Hero Girls animated shorts and TV specials will continue to release over the next year, allowing girls 6-12 to continue reaching their full potential alongside these superstars. Additionally, Warner Bros. Consumer Products and DC Entertainment, in partnership with Mattel, have brought the DC Super Hero Girls to life, beyond the animated shorts and website, with the first-ever line of 12-inch Action Dolls, 6-inch Action Figures, as well as role play and playsets now available exclusively at Target in the U.S., along with other product, including apparel, accessories, publishing and more. 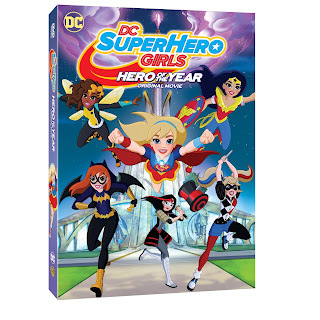 The DC Super Hero Girls global merchandise program will hit retail worldwide, beginning in July 2016, offering a wide range of product to fans around the world. Random House and DC Comics are also releasing an exciting array of DC Super Hero Girls books and graphic novels. 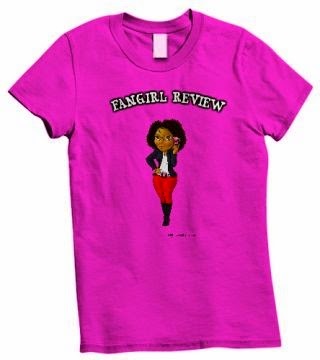 Fans can discover more at DCSuperHeroGirls.com and through dedicated social media platforms, including YouTube, Facebook and Instagram. DC Super Hero Girls: Hero of the Year features some of the top voice actors in the industry. Grey Griffin (Wonder Woman), Anais Fairweather (Supergirl), Mae Whitman (Batgirl/Barbara Gordon), Tara Strong (Harley Quinn/Poison Ivy) Teala Dunn (Bumblebee), and Stephanie Sheh (Katana) join forces to portray some of the newest students to attend Super Hero High.